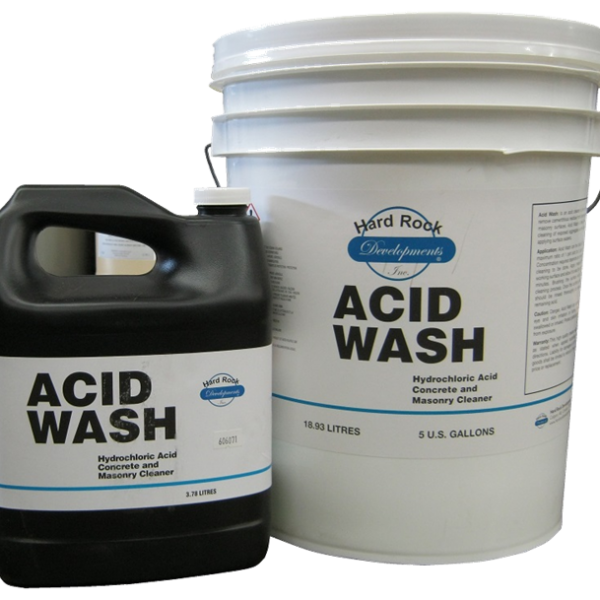 Acid wash is a powerful acidic solution with high etching and cleaning properties that will take one layer off the concrete surface to expose the fresh concrete. It will produce a textured surface to increase adhesion of overlays and coatings. It can be diluted with water, can be used to clean the concrete, prepare it for coating and sealing applications. It does not react with paint, sealer, wax or grease. 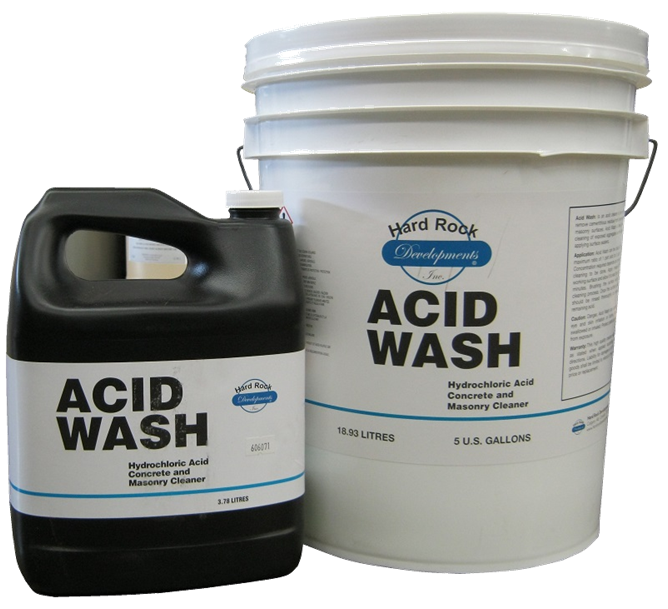 It is available in 1 gallon and 5 gallon containers.